On BitcoinLive; daily Crypto updates are made available while also, on demand analysis requests are fast filled. Join us as we have now opened up monthly and quarterly subscriptions. Use this link: https://bitcoin.live?aid=110. 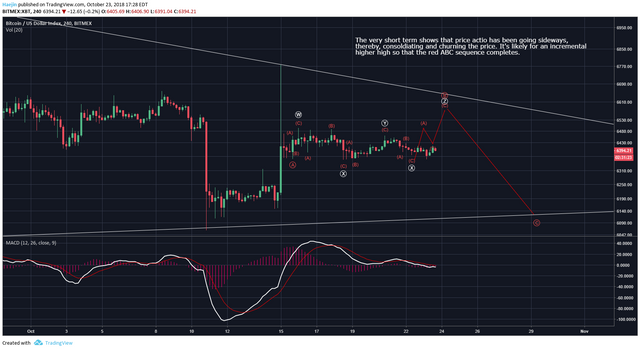 Below is an excerpt of a Bitcoin (BTC) analysis that was posted on BitcoinLive...Come join us for full access! 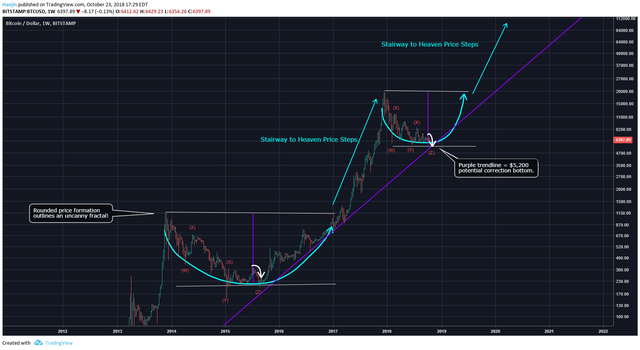 The fractal and Elliott Waves of this Semi-Log chart shows a ver close adherence. The difference is in size; e.g. the current correction could be half the size of the 2014/15 correction. Looks a bit like could be forming a flag pattern in a small way atm, do you see that? perhaps before final drop? All you need to know is that it's happening. Ready to climb the stairway to heaven!!! I clicked on the link and it doesn't work!